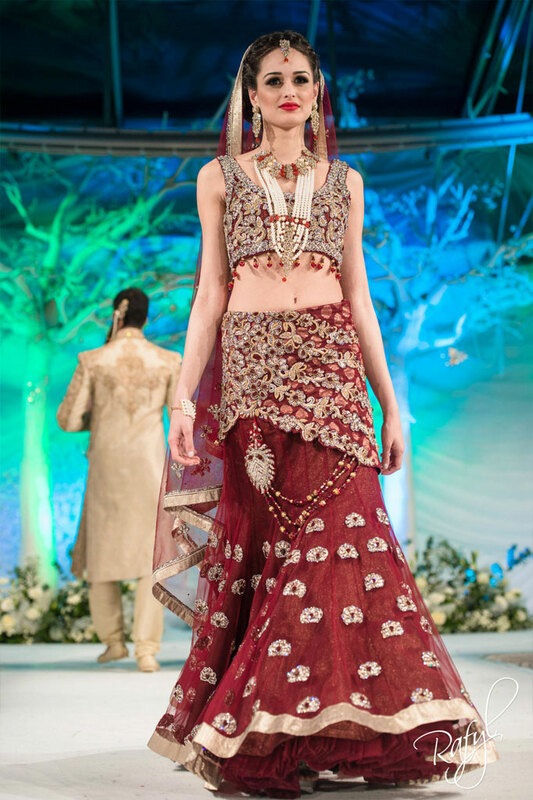 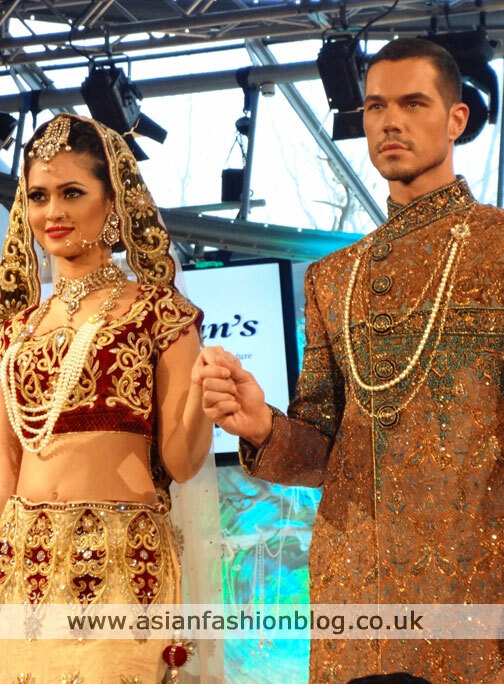 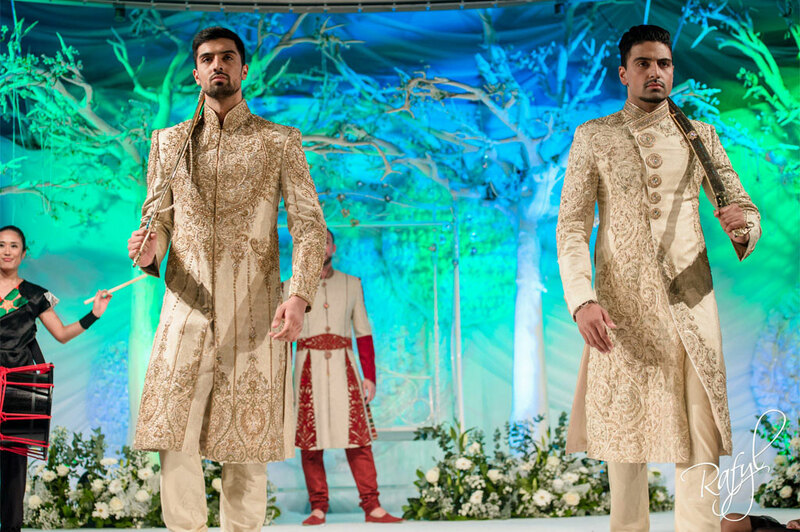 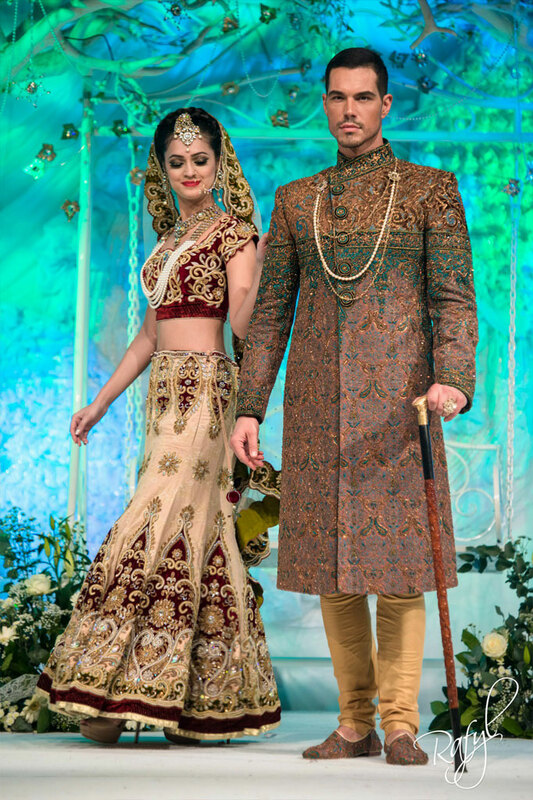 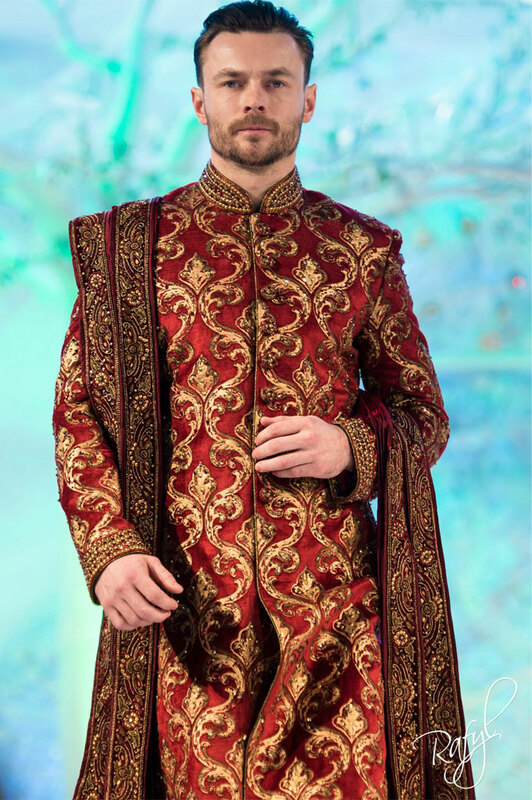 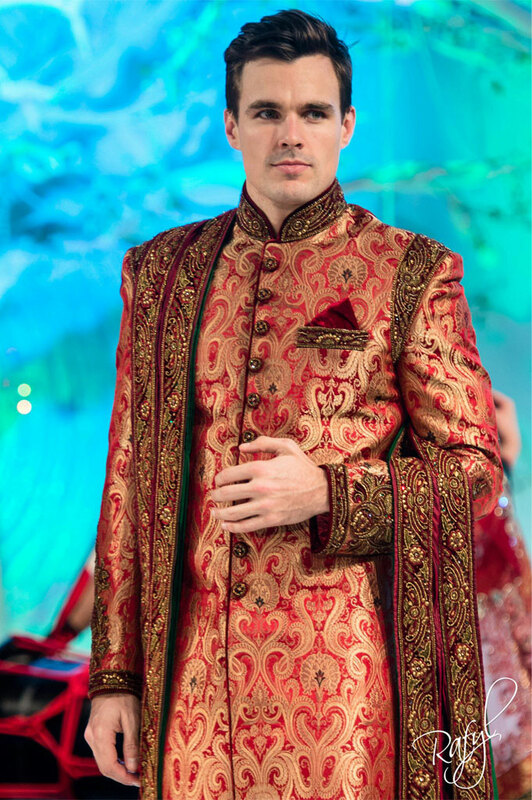 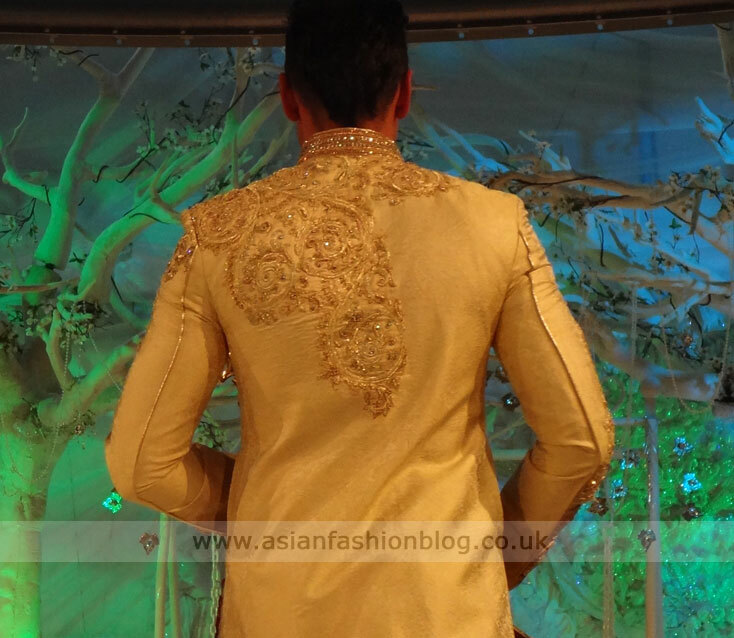 Two of Birmingham's asian fashion stores, Ziggi Studio and Harkirans showcased their collections together at the 2013 Asiana Bridal Show in London. 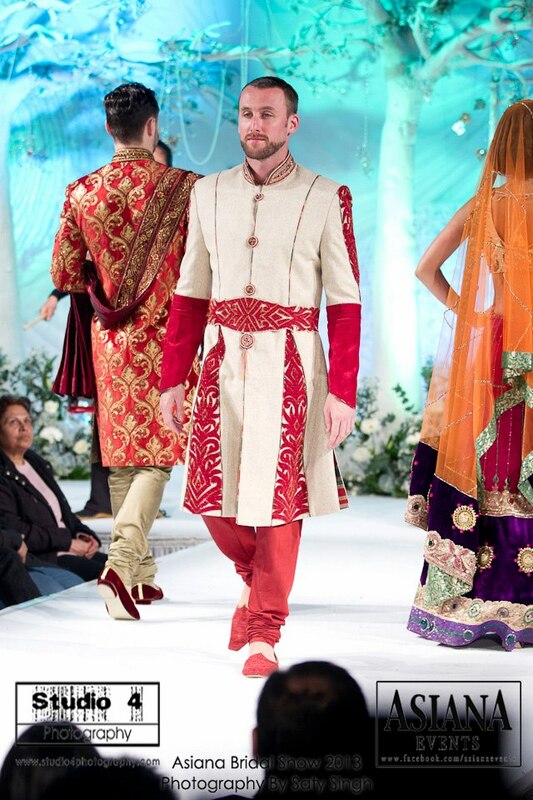 Ziggi Studio provided the sherwanis and Harkirans provided the lehngas. 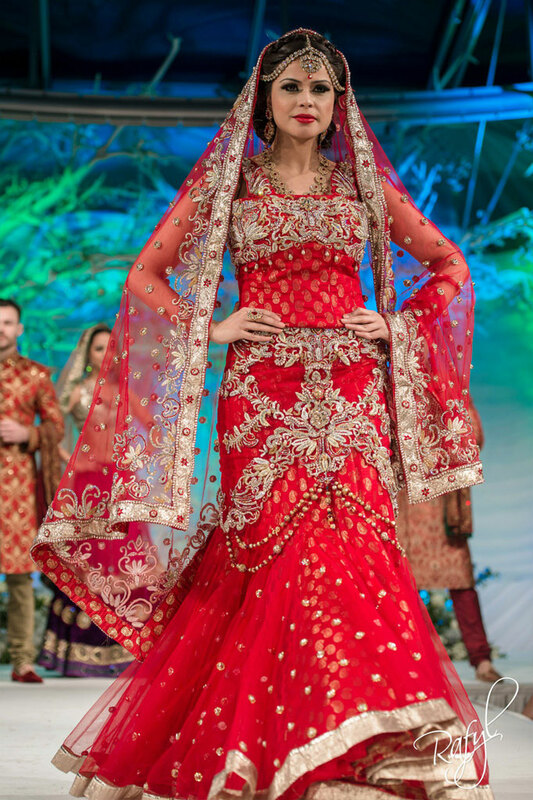 We're all used to seeing brides in red, but perhaps not so many grooms. 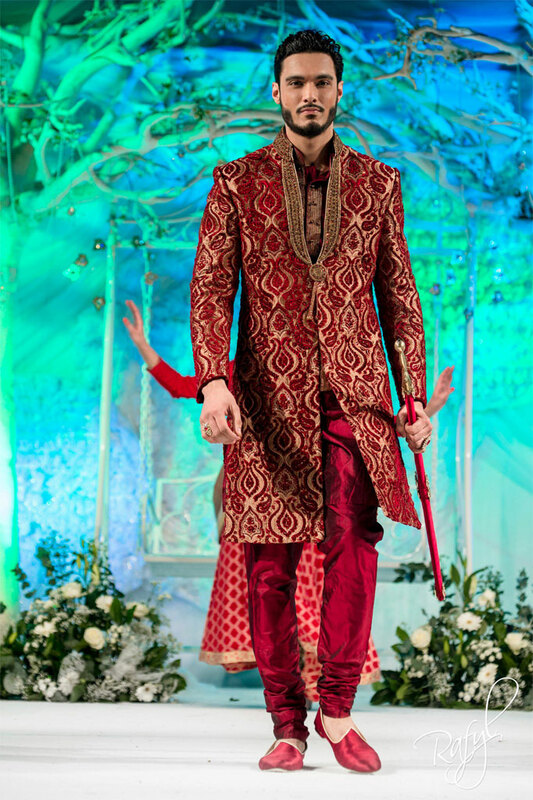 I liked that Ziggi Studio's first three outfits were regal red. 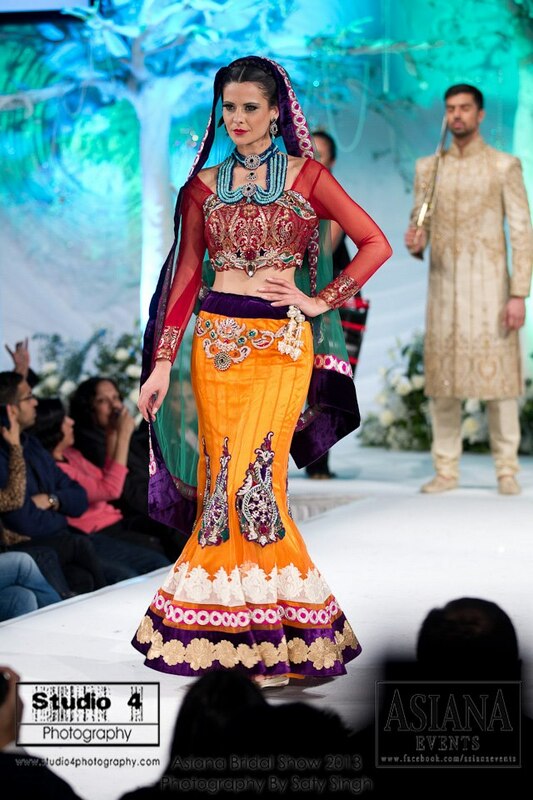 What do you think of this colour combination below? 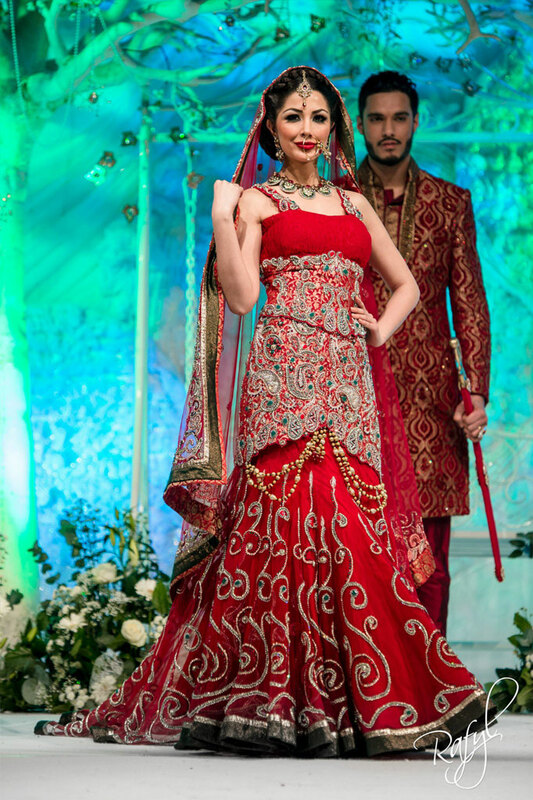 I love the lehnga but the red top accessorised with that blue necklace seems a little too contrasting for my liking!